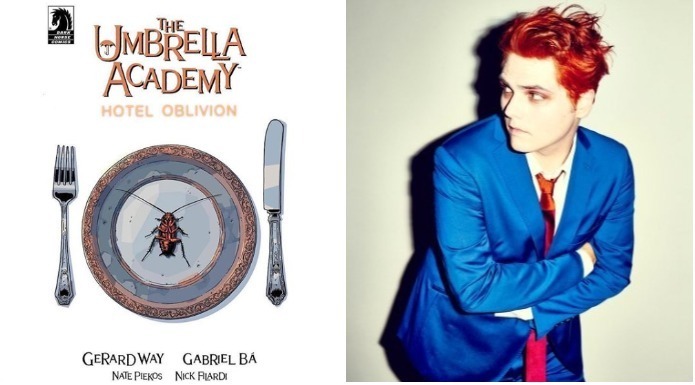 Gerard Way’s Umbrella Academy is returning! Dark Horse Comics announced the release just in time for this year’s San Diego Comic-Con. Check out below what we know about the new series so far. Dark Horse Comics announced today the comic book’s third series The Umbrella Academy: Hotel Oblivion. The story of Hotel Oblivion will be told in seven issues, starting October 3, 2018. Plus, if you’re too anxious to wait until October, Dark Horse Comics announced it will debut two Umbrella Academy convention exclusives at Comic-Con. You can pre-order the new series from your local store here. Plus, the comic book series is headed to Netflix, with a reported 10-episode show that is expected to hit the small screen for a 2018 debut. The cast includes Kate Walsh, Mary J. Blige, Ellen Page, Tom Hopper (Game Of Thrones), Emmy Raver-Lampman, David Castañeda, Robert Sheehan and Aidan Gallagher.